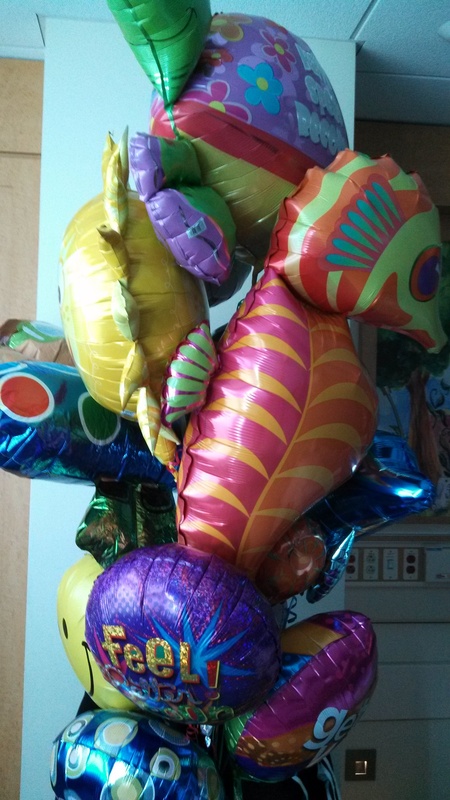 Travis’ Balloons and Letter 3/14/2013 | Travis the Warrior --- Kickin' Cancer! I am leaving these balloons for you. I am hoping you have a successful stay/operation as I did. Hopefully these balloons will cheer you up when times are hard. The doctors here are very nice and I recommend the blueberry muffins. P.S. I hope you get to see the dogs. He asked us to paper-clip the note to the balloon strings. We couldn’t believe it. Well, yes we could. Travis is one of the most giving people we know.